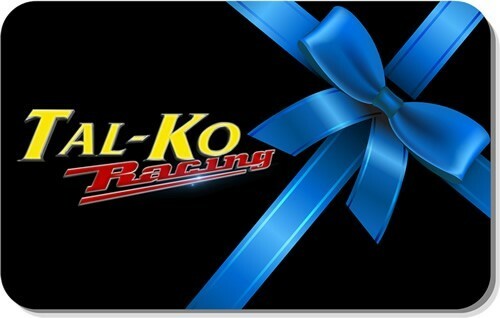 Welcome to the Tal-Ko Racing online shop which has been created to help you order your parts direct from us at any time to suit you. We aim to make your shopping experience as easy as possible with detailed parts lists and photos of every component. We will be gradually adding further ranges and parts to the online shop so please keep checking back for progress. Online GIFT VOUCHERS now available. Currently this online shop is just for the UK. All prices of our Products are shown in Pounds Sterling (£) and are exclusive of VAT. For all applicable items VAT is charged at the rate of 20%. All invoicing will only be in Pounds Sterling (£). When the order is placed at our website, credit card numbers are encrypted using 128 or 256-bit encryption. All online payments are taken over a secure card processing E-PDQ setup. Card transactions taken through our website are protected against fraud and Tal-Ko Racing Ltd are not shown any card information.